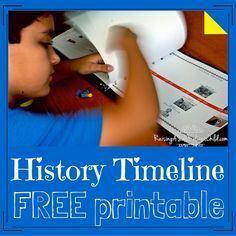 Imagine learning about Australian Dinosaur Trail’s history in the Australian outback and all for NEXT TO NO COST! How perfect is this for families! Absolutely excellent is this as a free school holiday activity? Welcome to one of the best places to visit in Australia with kids. Honestly, this is a fabulous and unforgettable time our family spent learning and exploring along the Australian Dinosaur Trail and Outback Loop. Situated around the towns of Winton, Richmond and Hughenden in the Queensland Outback. Significantly, if you want the best hands-on experience learning about our dinosaur and fossil history, then this Australian Dinosaur Trail and Outback Queensland loop is definitely the right choice. 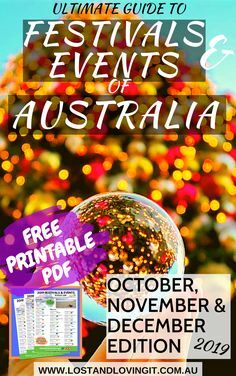 Most people go out to visit the top 3 attractions, however, in this post, I show you all the FREE and LOW-COST things to do on the AUSTRALIAN DINOSAUR TRAIL. Australian Age of Dinosaurs – Looking for the best fossil history in Australia? This dinosaur museum is one of the best. Kronosaurus Korner – Surprisingly, who would know the dusty dry outback was once home to such thriving and abundant ocean life! A small, but extremely excellent dinosaur museum. They feature on this Cheap list for their $3 dino digs! Wowzers! Lark Quarry – Nowhere else in the world can you see the history so clearly of an actual dinosaur stampede! Watch and bet on multi-coloured chickens racing at Ben’s Chicken Stampede and Aquaponics Farm with half the profits going to local charities. If you haven’t seen Mr 8 hilarious video on our page – you must! Enjoy Banjo Paterson poetry at The North Gregory Hotel. Sit back with a drink (or a meal like we did) and enjoy the free nightly entertainment. Mulga Bill’s bicycle was a big hit with the kids! Belt out a few tunes at the Winton, Musical Fence & visit the Qantas monument all for free! Explore the wonder of the scrap art collections at Arnos Wall. Try your hand at Fishing at Mistake Creek. There’s Yellowbelly here, but hiding for our visit! Don’t forget the Outback Festival, Winton Queensland Australia is on this school holidays! For that reason, the line up looks incredible, and we’re sad that we’ll miss it. Also, the Age of Dinosaurs has free and cheap extra activities on for the kids as well! Firstly, take the self-drive tour to Bladensburg National Park and visit the Bladensburg Homestead. Then, enjoy the scenery around Lawrence Lookout. We actually walked around and under to explore the beautiful rocks and even discovered fossilised poo! Remember to create excellent photo opportunities at the ruins of The Old Cork Homestead. Yours almost guaranteed to find your fossil to keep at the Quarry sites just out of town. Therefore, it is important to organise your cheap permit for only a few dollars through Kronosaurus Korner and go get digging! Actually, you can take a refreshing dip at Lake Fred Tritton. Even blow up the boat for the kids to play on and try your hand at fishing! Also at Lake Fred Tritton is a small water park, playground and great BBQ facilities. Take a stroll through the Cambridge Downs Heritage Centre right in town. The Flinders Discovery Centre has a great display of fossils and load of information for the curious. Another chance to find your fossils is to locate it just out of town. As a matter of fact, the Flinders Discovery Centre has handy directions that take you to two dry river beds which are known spots to find Belemnite Fossils! Even more, the bonus is, it’s on the way to Porcupine Gorge. Finally, the Brodie Street Playground back in town will help keep the kids entertained a while and got some of that extra energy out. 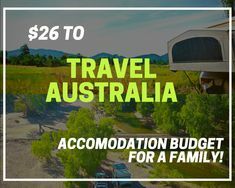 Tagged Tips and Tricks, Plan your Trip, Travel with Kids, How much to Travel Australia, Best of Australia, Queensland, Free Things on the Road.